John’s account of Jesus’ baptism is much different than that of the synoptic gospels. Each of those writers records Jesus coming to the Jordan to be baptized. They tell of the Holy Spirit’s descent in the form of the dove. They share the message of the heavenly voice. John’s gospel is different. He does not include such details. Instead, he allows John the Baptizer to speak. In this telling, John the Baptizer testifies to what he has seen and heard, and how it was foretold in the Scriptures. That may be a point often overlooked in this story. When it comes to our relationship with Jesus, our primary job is to see, and then share what we saw. That’s what John the Baptizer does here. He witnessed for himself the dove descending upon Jesus. He heard God’s voice from heaven. He then told others what he had seen and heard. Could the work of evangelism be that simple? It is! At its heart, evangelism is nothing more than noticing God’s saving activity in our lives, sharing that with others, and inviting them to come and see for themselves. 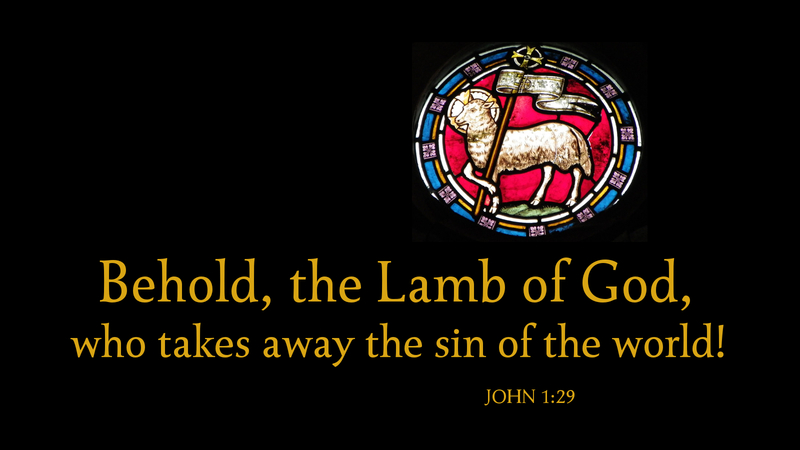 Prayer: Give me the will to witness to your saving grace, O God, that I may point others to the Lamb who takes away sin. Amen.